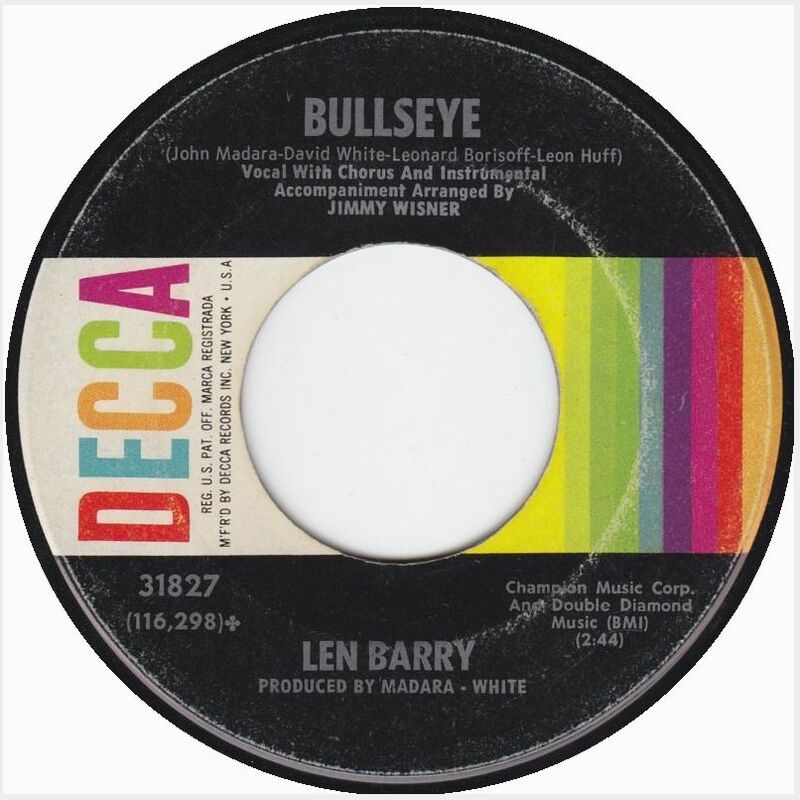 Not only was today’s song in my jukebox, but it also held a coveted slot in John Lennon’s jukebox as well. 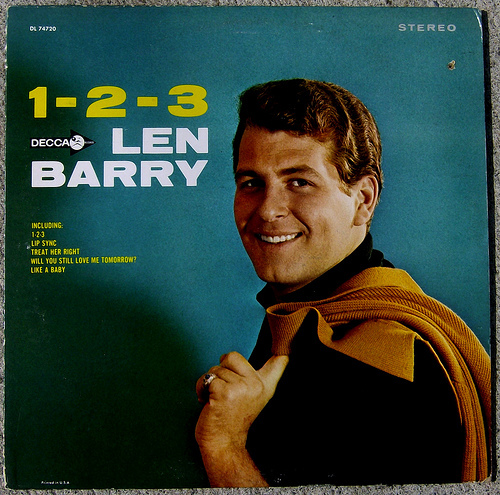 After singing during his military career for a few years, Leonard Borisoff changed his name to Len Barry and joined Philadelphia vocal group The Dovells in 1958 singing lead vocals on their million selling hit “Bristol Stomp,” plus “You Can’t Sit Down,” “The Continental” and “Hully Gully Baby.” Even better, Len Barry was also the voice on one of my all-time favorite doo-wop hits, “Mope Itty Mope” by The Bosstones (which if you’ve never heard, go here: https://www.youtube.com/watch?v=_oo2Xj44U3o ). Soon after the record hit big, Motown Records’ lawyers came knocking on Madara and White’s door, suing them both for plagiarizing the Holland-Dozier-Holland hit “Ask Any Girl” that was recorded by The Supremes. Madara: “In 1965, with ’1-2-3′ being the #1 record in the country, we were sued by Motown during the period when Berry Gordy was suing anyone whose records sounded like a Motown record. We were sued, saying that ’1-2-3′ was taken from a B-Side of a Supremes record called ‘Ask Any Girl.’ The only similarity between the two songs are the first three notes where the Supremes sang ‘Ask Any Girl’ and Lenny sang ’1-2-3.’ After that, there were no similarities, but their lawsuit said that our goal was to copy the Motown sound. Well, needless to say, Motown kept us in court, tying up all of our writers’ royalties, production royalties and publishing royalties, and threatened to sue us on the follow-up to ’1-2-3,’ which was ‘Like A Baby.’ So after battling with them for two years and having a ton of legal bills, we made a settlement with Motown, giving them 15% of the writers’ and publishers’ share. We never heard ‘Ask Any Girl.’ The only influence for making ’1-2-3′ was to make a ballad with a beat. And the sound of ’1-2-3′ was definitely the sound of the era. Listen to ‘The In-Crowd’ – that’s not the Motown Sound, that’s the sound of the era – and ’1-2-3′ definitely had a beat! Motown was suing a lot of people at the time.” (Forgotten Hits via Songfacts.com) As a result, Holland-Dozier-Holland received a writing credit for the song which went on to sell close to two million copies. Musicians on the track include Vinnie Bell, Bobby Eli and Sal Ditroia on guitar, Joe Macho on Bass, Artie Butler on Percussion, Leon Huff (of Gamble and Huff fame) on piano, Artie Kaplan on sax, and Bobby Gregg on drums. The song was covered by middle-of-the-road pop vocalist Jane Morgan who brought the song to #16 on the Easy Listening charts in 1966, plus there were also covers by Jan & Dean, The Vogues, Jack Jones, David McCallum, P.J. Proby, The Incredible Jimmy Smith, Ramsey Lewis, Sarah Vaughan, Cilla Black, Wayne Newton, Al Stewart and Roy Wood. 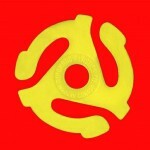 In fact, for a while during the mid-1960s, it was the go-to song for easy listening singers to sink their teeth into. After the hits began to dry up, Barry worked on a few projects with a local up-and-coming R’n’B group from Philadelphia called Gulliver that featured Daryl Hall in its ranks. Today, Len Barry is primarily known as a writer whose 2008 novel Black Like Me was well received by the public. 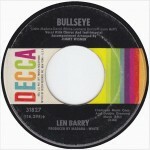 Not only was today’s song in my jukebox, but it also held a coveted slot in the jukebox of John Lennon as well. 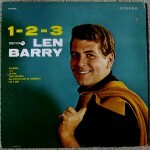 After singing during his military career for a few years, Leonard Borisoff changed his name to Len Barry and joined Philadelphia vocal group The Dovells in 1958 singing lead vocals on their million selling hit “Bristol Stomp,” plus “You Can’t Sit Down,” “The Continental” and “Hully Gully Baby.” Even better, Len Barry was also the voice on one of my all-time favorite doo-wop hits, “Mope Itty Mope” by The Bosstones (which if you’ve never heard, click here: https://www.youtube.com/watch?v=_oo2Xj44U3o ).